The Rubettes gained Worldwide success with their very first single Sugar Baby Love . The record shot to No 1 in the UK charts and stayed at the top for 5 weeks, selling around 10 million copies and it went on to become one of the classic pop records of all time. With a distinctive vocal harmony sound and a unique presentation they became one of the most popular bands of the 70’s with a string of international hits including: Juke Box Jive , Tonight , I Can Do It , Foe Dee Oh Dee , Little Darling etc. The bands enormous international success and a very hectic schedule of touring and T.V appearances throughout the World eventually took its toll and the original band retired from performing in 1980. The various members followed a natural progression of solo projects and alternative musical ventures, before the band re-formed a few years later. 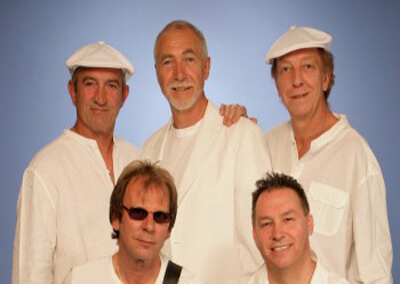 Today there are two different Rubettes line-ups and our band has a wealth of experience and professionalism. Original founder member Bill Hurd – keyboard/vocals and Alex Bines – drummer since their re-formation in 1982, have put together an unbeatable rock-solid unit with the foundation of ace bassist Billy Hill, the brilliance of guitarist Rufus Ruffell and the amazing vocal talents of George Bird. With an emphasis on musicianship and style, this classy and formidable combination, passionately delivers a unique blend of the old and the new in an impressive fashion. The ability to reproduce and enhance the original hit sounds live, makes this band highly sought after for concerts, festivals etc all over the World. By introducing a freshness with some great new songs alongside the old favourites, they deliver an entertaining and dynamic stage act time after time. With a brand new album released July 2010 and a steadily growing reputation, the Rubettes featuring Bill Hurd success story looks set to continue for a long, long time ! BILL HURD: Keyboards/Vocals Bill is an original founder member of The Rubettes who has strongly featured in the and’s live performances for many years. With a great rock ‘n roll keyboard style and soulful vocals, he manages to bring a high level of energy to every single live perfobrmance no matter what. In between his Rubettes years, Bill joined Suzi Quatro’s band. During this period he played on the hits “She’s In Love With You” “Stumblin’ In” and the album “Suzi and other Four Letter Words”. 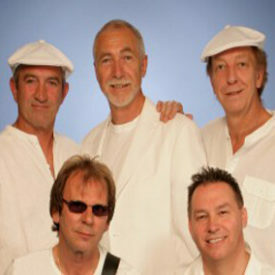 ALEX BINES: Drums Alex is a long serving member of The Rubettes since their re-formation in 1982 and is now widely recognised as the drummer in the band. Alex has worked with many successful bands, and played with ex-Dr. Feelgood guitar legend “Wilko Johnson’s Solid Senders” in the late 70’s. His close friendship with Bill led to him joining The Rubettes and his no-nonsense approach soon became the driving force behind the band. RUFUS RUFFELL: Guitar/Vocals Rufus is an exceptionally talented player who has featured on many recording sessions and worked with a number of different artists. His unique style and flair adds an extra dimension to the band and has earned him the respect of his contemporaries on many occasions. BILLY HILL: Bass Guitar/Vocals Billy is an outstanding bass player with an excellent track record and bags of experience. His disciplined style “fits the band like a glove” and perfectly compliments the Rubettes sound. He previously worked with the late Johnny Moore’s Drifters, The Platters, Precious Wilson and in featuring with the likes of Chris De Burgh, Paul Young etc, his musical ability is widely recognised ! GEORGE BIRD: Lead Vocals/Guitar George’s exceptional vocal talent is widely recognised and he is hugely respected throughout the business. With an incredible vocal range, he has recorded and guested with many great artists including the ‘Who’s, late great John Entwhistle, Iron Maiden, Dave Gilmour and Bobby Goldsboro. George is highly respected throughout the music business and is also an accomplished Bass player!